Leading Successful and Dynamic Schools: Evolution of a Point Guard? No- The Evolution of a Leader! Evolution of a Point Guard? No- The Evolution of a Leader! I look for lessons in the successes of all kinds of people- American presidents (Lincoln), corporate CEOs (Steve Jobs) other educational leaders (those with whom I have worked in the past), Super Bowl-winning coaches (Giants' coach Coughlin), and...NBA point guards. A New York Times article (February 25, 2012) "exposed" the truth about New York Knicks' guard Jeremy Lin. 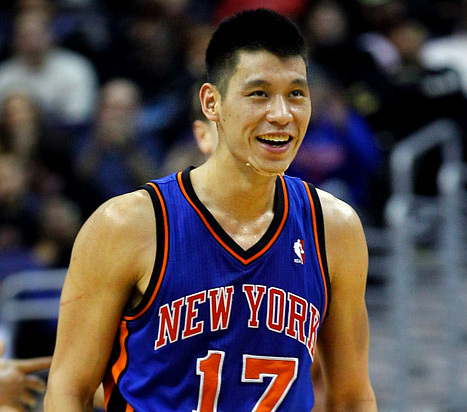 The Lin reality (he is a worldwide phenomenon because of his seemingly sudden success), is that his march to winning has been a slow evolution that has taken years of hard work. Four principles guided Lin to success, according to Times author Howard Beck, and I have found remarkable similarities between my path toward leadership effectiveness and the things that have guided Lin to his place in NBA stardom. Lin was an eager learner: He didn't come out of the gate knowing what to do. He had an awful lot of learning to do. "Jeremy couldn't shoot at all" said Keith Smart, coach of the NBA Sacramento Kings. Still, "Lin kept arriving early and staying late, devouring film and working studiously..." (Beck). It took me at least 18 years to learn the ins and outs of effective leadership. I was willing to learn from my mistakes (and my successes) and closely studied the habits of those educational leaders who personified excellence. I wasn't born a leader. I learned and learned and learned until I had my "aha" moment. It was my inclination to learn from my mistakes that allowed me to grow exponentially. There were stages to Lin's growth: Lin was overlooked and disregarded by college coaches and then ignored in the NBA draft and waived from teams twice in two weeks (Beck). His lonely early morning workouts in 2010 focused first on learning how to use the opposite of the court, which led to learning how take a blow on the drive and still get off the shot, which led to reading and attacking defensive double-teams, and so on. The point is, most people's effectiveness is cultivated in stages. At stage one, I learned the "technical" aspects of educational leadership- how to provide teachers with constructive feedback, how to produce a successful professional development day, etc. Then, I learned how to leverage groups of people to develop curricula, and make other critical school programming decisions. Finally, I learned (and this was the most difficult stage of growth) how to be the "guide on the side" moving large swaths of people (like entire school districts) toward attainment of a goal. Lin "beat the ghost:" Lin played a game called "Beat the Ghost" to help frame a concrete goal he had to attain in order to accomplish his learning mission. He didn't stop practicing a particular drill until he could "beat the ghost." I have failed at some things but worked very hard never to fail at something twice. I kept trying to beat my "ghosts" by targeting certain accomplishments (e.g. putting together a professional development day that sincerely met the needs of teachers, facilitating curriculum development that met state regulations but was also pertinent to the district's needs, etc.). I mentally catalogued what it took to beat each ghost along the way. Putting it all together: Lin's "aha moment" came on February 4, 2012 when 20 months of lessons and hard work coalesced into one eye-opening performance, and then a string of them (Beck). Everything will come together in due time, but for some that time will take longer than for others. It all came together for me after many years of learning, stage development, and targeted goal accomplishment. I will hit bumps along the road, but I will be willing to go back and learn from those bumps so I can grow forward. I think about how I can stay one step ahead of my challenges. Lin's former Harvard coach pointed out, "Someone's going to figure out how to slow [Lin] down and stop him, [but] he's going to figure out how to beat that."